Arlington County has been considering allowing backyard hens for a while now. It is commendable to find a way to obtain eggs in a way that doesn’t support big farms and the egg industry. However, backyard chickens in an urban community have the potential for very drastic – even deadly – consequences. Surprisingly, Arlington County’s current zoning ordinance does not prohibit chickens, but Section 12.7.1 of the zoning ordinance does require poultry to be kept in a building, structure or yard located at least 100 feet from a street or lot line. Considering Arlington’s urban nature and small lots, this set back requirement prohibits the vast majority of residents from having chickens. Not surprisingly, the County Manager recently recommended against backyard hens at a County Board work session last November. The staff had too many questions about hen raising, including what to do with dead, dying and abandoned hens, the impact on the Animal Welfare League of Arlington and animal control officers, and health and pest concerns. § 3.2-6552. Dogs killing, injuring or chasing livestock or poultry. It shall be the duty of any animal control officer or other officer who may find a dog in the act of killing or injuring livestock or poultry to kill such dog forthwith whether such dog bears a tag or not. Any person finding a dog committing any of the depredations mentioned in this section shall have the right to kill such dog on sight as shall any owner of livestock or his agent finding a dog chasing livestock on land utilized by the livestock when the circumstances show that such chasing is harmful to the livestock. Any court shall have the power to order the animal control officer or other officer to kill any dog known to be a confirmed livestock or poultry killer, and any dog killing poultry for the third time shall be considered a confirmed poultry killer. The court, through its contempt powers, may compel the owner, custodian, or harborer of the dog to produce the dog. Any animal control officer who has reason to believe that any dog is killing livestock or poultry shall be empowered to seize such dog solely for the purpose of examining such dog in order to determine whether it committed any of the depredations mentioned herein. Any animal control officer or other person who has reason to believe that any dog is killing livestock, or committing any of the depredations mentioned in this section, shall apply to a magistrate serving the locality wherein the dog may be, who shall issue a warrant requiring the owner or custodian, if known, to appear before a general district court at a time and place named therein, at which time evidence shall be heard. If it shall appear that the dog is a livestock killer, or has committed any of the depredations mentioned in this section, the district court shall order that the dog be: (i) killed immediately by the animal control officer or other officer designated by the court; or (ii) removed to another state that does not border on the Commonwealth and prohibited from returning to the Commonwealth. Any dog ordered removed from the Commonwealth that is later found in the Commonwealth shall be ordered by a court to be killed immediately. It’s difficult to fathom how this statute plays out in any jurisdiction, let alone in an urban jurisdiction like Arlington. But take this as one example. A neighbor’s chicken gets out of your neighbor’s yard and wanders into your backyard. Your dog chases and injures or kills the chicken. An animal control officer drives by just at that time, and sees the dog with the chicken. Your neighbor is quite understanding and admits it was his fault for not keeping his chicken in his yard, and the animal control officer certainly doesn’t want to get involved. Under Section 3.2-6552, the animal control officer has no choice but to kill the dog immediately. The option to seize the dog isn’t applicable, because the animal control officer was an eyewitness to the events and there would be no need to have a hearing about whether your dog was the guilty party. The animal control officer in all likelihood would not be carrying a firearm. And even if a person lawfully has a firearm in Arlington, it is against the law to discharge a firearm in the county. That leaves incredibly undesirable options like snapping the dog’s neck or beating the dog to death – actions that constitute cruelty. A bill pending in the General Assembly proposes softening – but not eliminating – the dire consequences of Section 3.2-6552. HB740 would allow localities with a population density of at least 3400 persons per square mile to pass an ordinance to limit or eliminate the animal control officer’s duty to kill or seize a dog, and to limit or eliminate an individual’s rights to kill the dog. For those Arlington County residents who want local fresh eggs, you can have your cake and eat it, too, by shopping at Arlington County’s many wonderful local farmers’ markets and avoiding these potential hazards. Categories: Pet Owners, Pounds, Animal Control Officers and Law Enforcement, Rescues and Shelters | Tags: agricultural animals, criminal law, dog shootings, legislation, owner responsibility, zoning and permitting | Permalink. Ring in the New Year — but not too loudly! 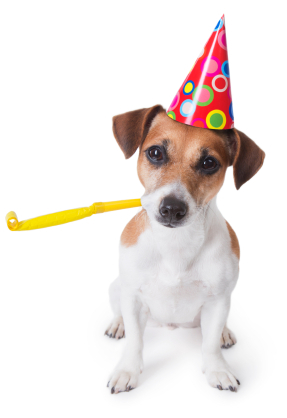 By all means, ring in 2014 – but don’t be too loud! You may be kicking off the new year with a new noise ordinance. Fairfax County and other localities in Virginia have not been enforcing noise ordinances since 2009, when the Supreme Court of Virginia struck down Virginia Beach’s noise ordinance as unconstitutionally vague in Tanner, et al. v. City of Virginia Beach, 277 Va. 432 (2009). Virginia Beach’s ordinance prohibited “unreasonably loud, disturbing and unnecessary” noise that is “detrimental to the life or health of persons of reasonable sensitivities.” The noise at issue involved hip-hop, punk rock and indie music pumping from Virginia Beach’s Peppermint Beach Club on Atlantic Avenue. Arlington County is also working on updating its noise ordinance, proposing to prohibit amplified sound over specific distances (20 feet from the sound in another dwelling or 50 feet across property boundaries), or barking or squawking at least once per minute for 10 consecutive minutes. 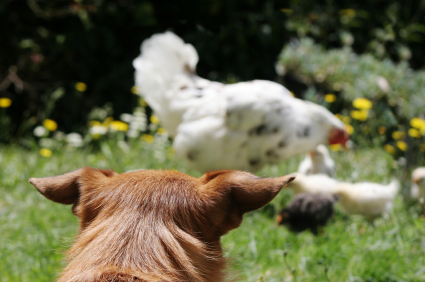 The “squawking” prohibition may be in anticipation of backyard chickens – a topic worthy of its own blog post and major public education about Virginia’s mandatory and immediate death sentence for chicken-killing dogs. With the old ordinances, local officers became particularly adept at trying to resolve noise conflicts in creative ways. Hopefully these efforts will not fully disappear as jurisdictions amend their noise ordinances. Slapping someone with a ticket or a lawsuit is much less effective that solving the underlying problem – particularly with an incessantly barking dog. For excellent ideas about how to address excessive barking, take a look at this recent blog post by trainer Veronica Sanchez with Cooperative Paws in Vienna, Virginia! Categories: Animal Behaviorists and Trainers, Pet Owners, Pounds, Animal Control Officers and Law Enforcement | Tags: criminal law, devocalization, free speech, legislation, noise ordinance, owner responsibility | Permalink.